Signature dishes, created just for your event! The world’s top chefs take inspiration from combining ingredients, flavors, colors and textures in marvelously unique ways, to produce wonderful new dishes. some of the most inspired chefs in Southern California (and the world!) 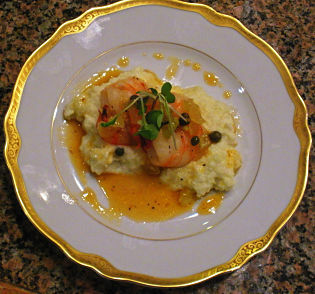 to create special signature dishes and meals, designed especially for your event. Discuss your ideas with us. Tell us about your favorite foods, and we will create sample menus for you to select from: menus so inspired that merely reading them will be a culinary delight!